PETROZAVODSK, RUSSIA - AUGUST 14, 2013: Road construction works with yellow excavator at country-track on city boarder in summer day, Karelia. hd00:04NAGHAR PROVINCE AFGHANISTAN, AUGUST 2013, US Infantry soldier. Three patrol cars stand in front of the camp. hd00:17CROWELL, TX/USA - August 3, 2015: POV driving shot of a row of new tractors and grain bins. New farming equipment is lined up next to food storage containers ready to work on the farm. hd00:12Plow for plowing fields. Big tractor plow a field with a plow. 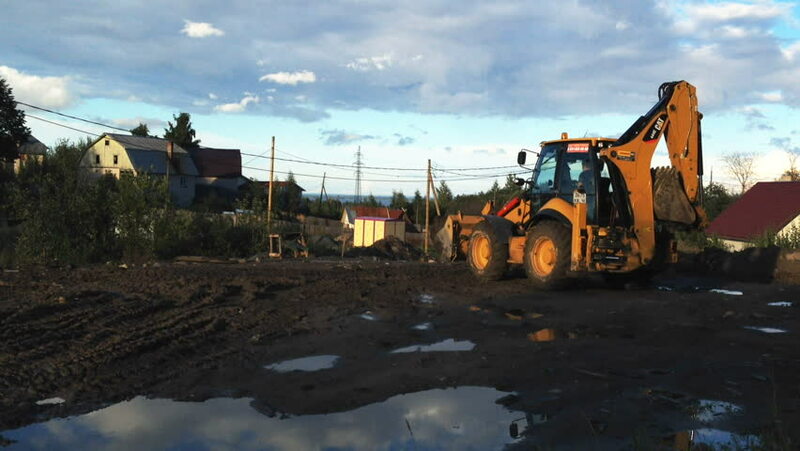 hd00:22YEKATERINBURG, RUSSIA - SPRING AND SUMMER, 2011: The excavator loads dump truck. Night mode.